We are pleased to be the Master Distributor for the Southeast for Doosan/Ingersoll-Rand's On Board Power Solutions division (OBPS). This division features truck mounted, PTO or Hydraulically Driven Compressors, Generators, Welders and Jump-Starters. These products eliminate the size, weight and maintenance costs associated with auxiliary engine equipment. Separate fueling is also eliminated. 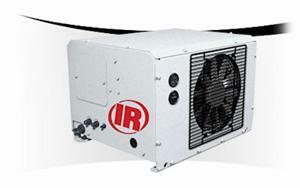 Known as the industry leader, Ingersoll-Rand’s compressors offer the most advanced technology on the market today. They are available with 30 cfm to 220 cfm sizes to meet your requirements. Generators are available in sizes 4 kw to 25 kw, welders are available 200 amp to 400 amp sizes, and jump starters are available 650 amps to 1000 amps. All of these components can be integrated to work from one common drive system as permitted by the truck being considered.